There is something that I never realized about the our country’s collection of railroad songs as a whole, until I had a need to closely examine them. Most of them, excluding those written for children, are not inspiring songs. The great majority of railroad-inspired songs, rather, tend to either tell the story of a train that wrecked, or a train that carried away a jilted lover. In the throes of wedding planning, this was a frustrating discovery--I felt that both of these subject matters were bad luck to play at the legal beginning of relationship, and most of the remaining songs sounded more appropriate for a child’s birthday party. When I revisited these playlists after the wedding, though, something worth pondering occurred to me. In our culture, we generally consider the railroad in a positive thing. They were instrumental to the United States maturing and enjoying a place of international prominence, demonstrate our technological capacity to conquer nature, and symbolize our desire to wander outside of our own too-ordinary-to-bear lives. Railroad folk songs, in contrast, tend to show the railroads as the cause of great personal loss, or even of widespread disaster. They way we think about trains, and the way we memorialize them in song are vastly mismatched. The wreckage of the 97. This is your muse. Consider some of the best-known songs. One of the most famous American engineers is, appropriately, memorialized in one of the best-known railroad songs, the Ballad of Casey Jones. Indeed, the demise of the real-life Casey Jones probably would have been just one more dramatic but unremarkable incident on the early railroads had an employee at the shop where he was based not set the story to song. The Wreck of the Old 97 describes a similar real-life event, in which a train urged to run faster than track speed to deliver the mail on time careened off of a trestle. The song lyrics include the gruesome detail that the engineer was ‘scalded to death by the steam,’ and, oddly, the closing line of the song urges women not to speak harshly to their husbands, in case they leave for work and then never return. The Wreck of the Number 9 describes a love-struck ‘brave engineer’, who becomes engaged moments before departing on an ill-fated run and survives just long enough to implore his fiance to remain true.Perhaps these songs were a sort of safety valve, where there was no taboo against mentioning the fact that working or riding on the railroads always involved a certain amount of danger. While it was the railroad crewmen who tended be most at risk for actually loosing their life, the mere presence of the railroads had a somewhat disruptive effect on personal relationships. One party who tires of a relationship had the option of hopping on a train and never being seen by their lover again. The narrator of The Train That Carried My Girl From Town misplaces anger over a failed relationship onto an unwitting train crew, Train Whistle Blues postulates that a man’s natural response to trouble is to board a train, and He’s Coming To Us Dead tells of an old railroad clerk reunited with his son only after he has passed away. 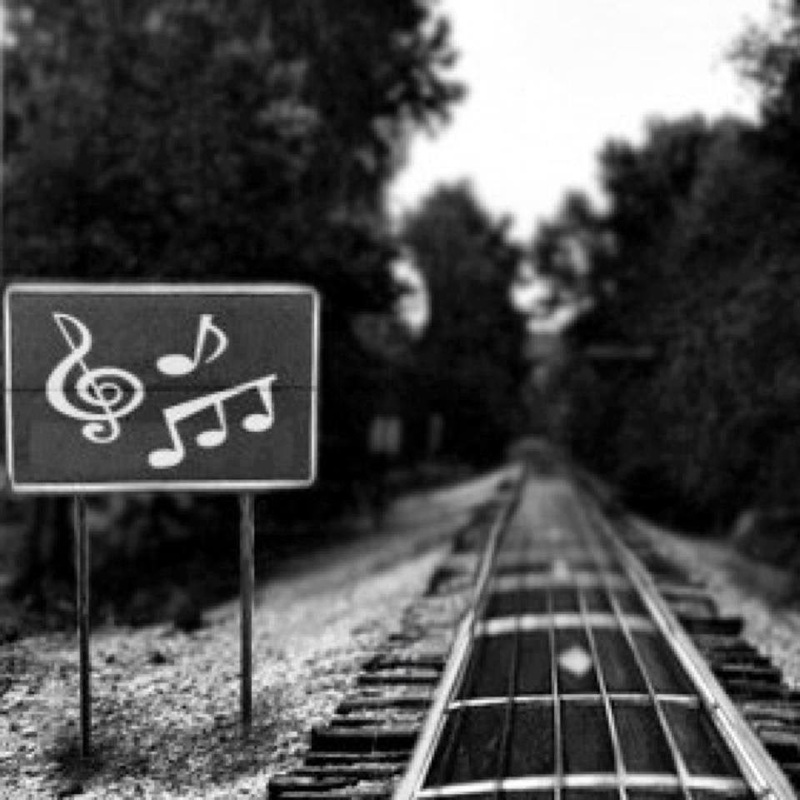 There are enough railroad songs that some performers--Boxcar Willie, Jimmie Rogers, Hank Snow, and Johnny Cash-- practically made their careers singing them. Many of their songs are also about or from the perspective of hobos traveling on the rails. While some may express that these traveling men felt a sense of freedom in not being tied down to a job or family, others, such as Bummin' an Old Freight Train and Waiting for a Train give a portrait of the hardships of this nomadic lifestyle and describe the hobo’s acute longing for a home of their own. Many other songs, such as the City of New Orleans and Elizabeth Cotten’s exquisitely fingerpicked Freight Train, describe more subtle concepts: The loss of an era, or of youthful vigor. The most prominent railroad songs that I can think of that have a positive tone are the the Wabash Cannonball and the Fireball Mail, both written as hymns to particularly stately locomotive. It is not accurate to say that there are no others songs written in praise of the iron roads, since there have been hundreds written over the years, but it is striking how melancholy this genre tends to be. The rhythm of a moving train lends itself to musical imitation, but there is nothing about the sound that demands to be paired with depressing lyrics. I like to approach these kinds of articles so they do not just make an observation, but try to present a theory to explain the why. On this one I will have to admit that nothing comes easily. I am stumped for an exact answer. Perhaps the simple fact of it is, trains are fully capable of singing songs in praise of themselves. They move with a clack-a-clack rhythm to match the most precise human drummer, and have voices to sing straight down into our souls. We have no verse to add to that, except to ponder how we ourselves have been impacted by the coming of the railroad.